I'm unhappy in my job and I either need to make a career change or I need to make tweaks to my existing career or lifestyle so that I can feel more fulfilled. I'm not sure how to best make the change, especially while I have a full time job with limited free time. This whole process feels really overwhelming! I recommend first taking a big breath. You’re embarking on a journey of uncharted territory. You’ve been doing what, historically, has been the best thing for you, but you’ve hit a road block. What’s familiar is no longer working, and that awareness is uncomfortable AF (even scary). So please breathe, and know you’re not alone in this. Take some time to research in order to gain perspective. Start with the interwebs, "how to make a successful career change or get what I need to be happy in my existing job?" Follow some new, inspiring people on social media and start reading different self-help books that sound interesting to you. See what resonates and try 1 or 2 different things to help you move forward. If you're still having trouble gaining clarity on your next steps, start talking to different career coaches. Most coaches will give a free consultation to see if you're a mutual fit. I recommend interviewing anywhere from 2-5 people so you can really get a feel for different personality types, program approaches, and price points. This part can be difficult, because when you're trying to solve a problem, you don't necessarily know which approach is the right answer for you. This is where trusting your gut comes in. You really need to tune in on who's approach feels the most genuine, interesting, and exciting for YOU. In other words, you need to fully believe that this person has something you want, badly, and you trust that he/she can help you not only get clear on what career path is right for you, but can help you take action substantially faster than it would take to do on your own. Check the testimonials on their website, and ask them whatever questions you need to in order to be ALL IN on this process! How much should I spend on coaching? When I found a coaching program I was interested in, with a fabulous coach I'm still super grateful for today, I gasped at the $5,000 program price tag. So many thoughts ran through my head! I had never spent that much money at once in my entire life, especially over a 2 month period, with a coach I had just met. It felt insane. But I knew I needed something new and challenging. And this process sparked my first mindset shift: this coach felt right for me, I would need to view this program as an investment in my long-term future. I looked at the program as a "turbo-charge," to equip me with not only accountability, but tools, structure, a skillset, and a mindset that I would ideally use for years to come. I became all-in! And it turned out to be just that! I've seen coaching programs offered anywhere from $50/month to $5,000+ per month. Pricing can depend on a number of factors: the level of one-on-one support provided, the complexity of the skillset you're trying to develop, and the level of motivation of both the coach and the client. A theory (and one I believe in personally), is the more money you invest, the more motivated you (and the coach) will be to go over and beyond to achieve awesome results. With this mindset, you will gain every benefit from that program possible!! In summary, I use this rule of thumb with investing in myself or my business: In order to feel good about the investment, the intrinsic + financial value you place on achieving your goals (whether it be peace of mind, clarity, freedom, happiness or increased earning potential) needs to exceed the financial investment you make in the program. How can I work with you, Liz? I offer a number of different ways to support you and your career goals. If you like a group setting, I host monthly events, at lower price points, open to all, both locally and online. What's going on in your career today that you're feeling frustrated about or stuck on? When you think about your future career (and life), what would you LOVE to accomplish? What challenges are getting in the way of you accomplishing these goals? I'll most likely explain why I think you're feeling stuck and recommend how you can overcome these challenges. If we are a mutual fit for each other, I'll also share how I can help you reach your goals! Assuming you are a match for one of my programs, and I have space available on my roster, you will sign up for your first session and financially commit to hold your program place! The investment for full up front payment is $3,000, and payment plans are available for those with financial constraints, or would prefer to pay over time. To prep for your first session, you will fill out an enrollment form that asks you questions about both your career and lifestyle, so we can take a fully holistic approach to accomplishing your goals. What can I expect during a one-on-one program? My most popular program is a one-on-one 3-month career change program. 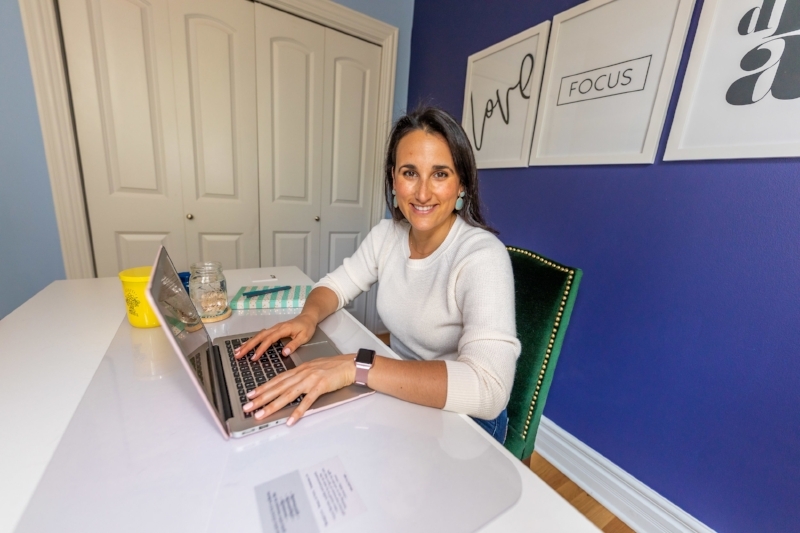 You and I will meet live each week for a one hour session, either on Zoom or locally at one of my energizing Chicago work spaces (@ EvolveHer or WeWork). We sip on coffee, tea, or just water, while we strategize, whiteboard, and plan your ideal career and life! Outside of our sessions, you'll be focused on your homework, which ranges from things like journal reflections to attending events, updating your LinkedIn profile and joining interesting Facebook groups. Throughout the program, we remain tethered to your career goals, but in order to accomplish them, we need to dive into whatever gets in the way. We discuss everything from maximizing your energy through sleep and exercise habits, to breaking through limiting beliefs around your skills, talents, and most special gifts. No topic is off-limits during our sessions, and our conversations are 100% confidential. I hold you accountable and focused through email communication and phone/text on an as-needed basis. Together, we will illustrate possibility, build perspective and confidence, develop a strong network of supporters and inspirations, and ultimately make sure you create a career you love. You will leave the program feeling inspired, focused, and excited about your future! Ready for a one-on-one session, get in touch with me, by clicking here.